Acknowledge me, what Pakistan means? Do the land where Muslims lives are defiled? Hindus and Muslims lived together for centuries peacefully and harmoniously barring few communal tentions here and there. Under Mughals ( to whom many Hindu nationalists refer as invaders including former president Mr, Pranab Mukherji) India flurished extraordinarilyin the field of Agriculture, Arts& Crafts and architecture. But due to British occupation of Indian sub-continent discontent, mainly between Hindus and Muslims, was created. James Mill’s Indian histiography problematically written as Hindu India (period) and Muslim India or (Muslim period) but with same token he did refer British India as Christian period. Inferential meaning therein is that it is Britishers who rose above religious bigotry and reformed the Indian society from several superstitions. It was during Britishers that “two nation theory” was introduced by the RSS, Allama Iqbal and by Muslim league which catastrophically resulted into the partition of British India into India and Pakistan and later in 1971 Bangladesh came into existence. 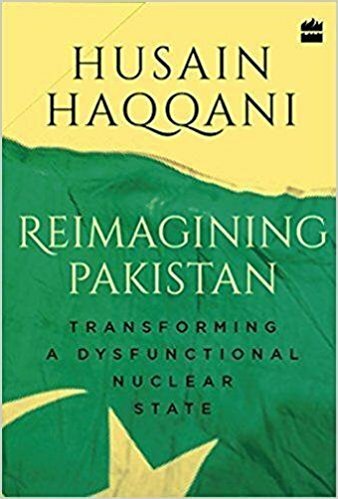 In his book ‘Reimagining Pakistan’ former Pakistan’s ambassador to USA Hussain Haqqani, who is presently barred from entering Pakistan chalks out the seventy years of ups and downs of Pakistan and suggests number of bold steps to be taken for course corrections. Pakistan was created for solving the communal problem but failed poorly. Today Muslims of erstwhile British India are divided into three part and their condition is miserable. Pakistan failed to reform its landownership system and even today Feudalism exists. Poor Pakistanis works in Middle-east to make both ends meet for their families back in Pakistan. Muhajirs are mostly stranded in Karachi leaving back their relatively prosperous life in pre-partition British India. Owing to ehtnic amd lingual dissatisfactions Bangladesh came into existence . Back in India Muslims are unofficially decimated in almost every field, be it legislative, Executive , Judiciary and in other civil and military fields. Sachar Committee emperically reported the shoddier condition which is even worse than the conditions of ex-untouchables. This is direct consequence of partition. Post-partition Hindu nationalists explicitly and implicitly advocates for scraping the voting rights of Muslims. In his meticulous analysis author asks for giving up religious fantacies and to act rationally to improve the health, education and infrastructure instead of availing the geografically strategic position of Pakistan for some financial aids from external institutions and countries. Pakistan poorly failed to develop its stable and self-relaint economy. Military expenses are increased in every financial budget while other social services are neglected. India was partitioned on the pretext of Hindu and Muslim are two separate nations who do not inter-dine and inter-marry hence they must be separated. But the way Hindu minority in Pakistan and Bangladesh and substantial number of Muslims left in India proved this wrong. This book is worth reading to understand how countries created on religious exuberance failed to fufill the basic physiological needs of its destitute people.